PPC (polypropylene carbonate) is a completely biodegradable environment-friendly plastic synthesized from carbon dioxide and propylene oxide. 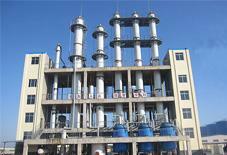 Besides, due to its using the main source of greenhouse gases---CO2 as the feedstock, PPC not only reduces the emission of greenhouse gases, but also reduces the consumption of fossil fuel. Compared to the degradable PLA(polylactide), it has advantages of high strength, good ductility, lower production cost and etc. 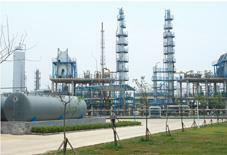 PPC polyol with low molecular weight are used to replace conventional petroleum-based polyether, polyester and polycarbonate polyols, while PPC with high molecular weight are employed as film products, oxygen barrier material, injection molding material and etc., especially in package industry and agriculture. 1. The number-average molecular weight of PPC using our technology reaches about 100,000, achieving the most advanced level in the world. 2. The tertiary catalyst ensures shorter polymerization time, i.e., 8 hrs, and within 8 hours the catalyst activity can reach a very high level. 3. 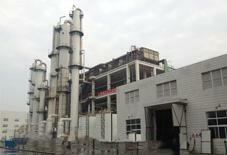 For the production of per ton of PPC product, about 0.45-0.5 mt of carbon dioxide will be consumed. It not only makes use of the CO2, but also the PPC product is completely biodegradable and thereby reduces “white pollution”.